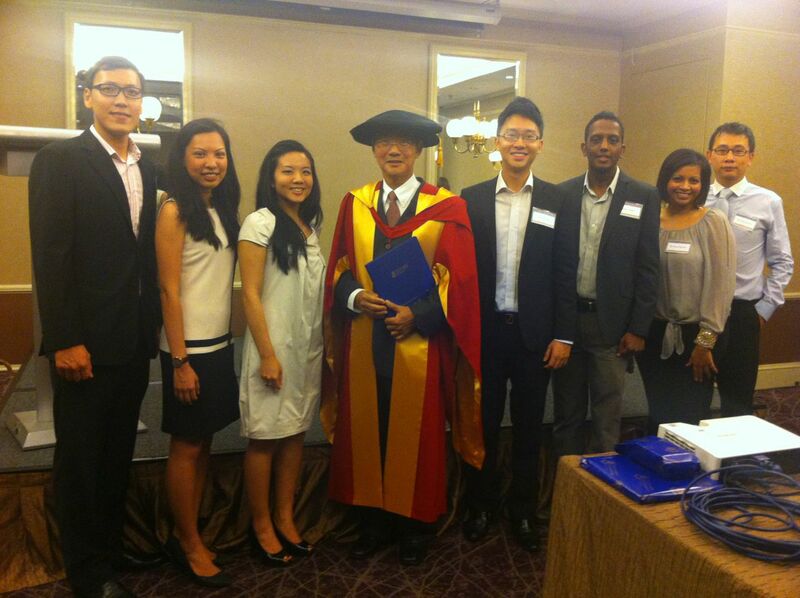 In the month of September 2012, it was a pretty fun time for our University of Queensland Alumni Association of Singapore (UQAAS) with interesting activities and events. 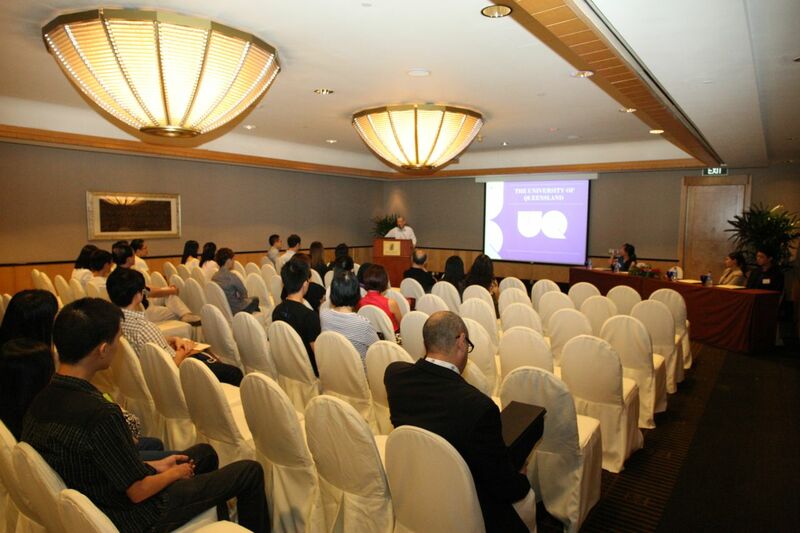 There was an University of Queensland (UQ) Open Day 2012 held at the Ritz Carlton Millenia on 1st September 2012 for potential students and their parents to pose questions for the staff and academia regarding courses and admissions. The UQAAS Ex-Co and fellow alumnus from the UQAAS community were there to show support and assistance for the Open Day 2012. The alumnus and UQAAS Ex-Co chaired an alumni discussion and sharing panel for the potential students and their parents to hear first hand stories and experiences on studying at University of Queensland and living in Brisbane. It was a very enriching sharing by our panel of 4 UQ graduates, their stories and experiences bringing back memories of our uni days in UQ and living in Brisbane. I was only there for the last 2 hours of the Open Day to capture some of the action and the alumni panel discussion and sharing session due to commitments elsewhere before the UQ Open Day 2012. It was great to see the UQAAS Ex-Co very active and engaging and this promises to be more exciting and fun for future UQAAS events. 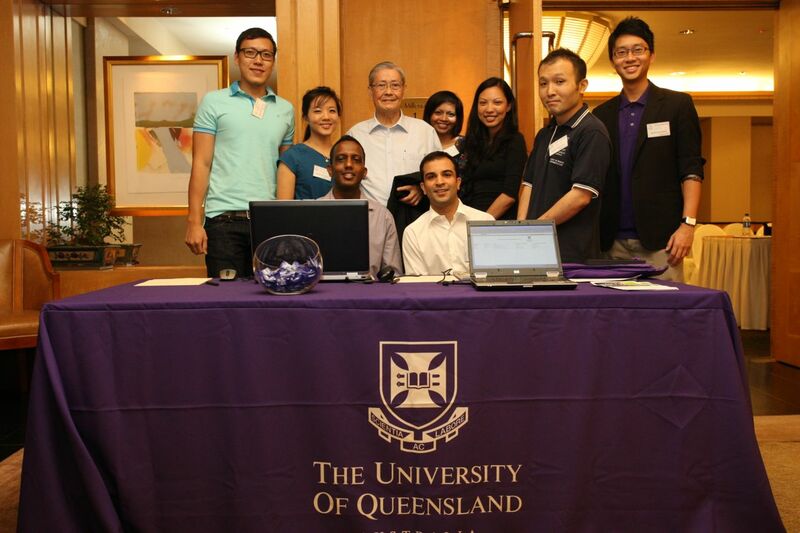 On the 12th September 2012, there was an alumni event where the University of Queensland celebrated the power and impact of philanthropy and volunteering. The University of Queensland also honoured a very distinguished alumnus, Dr Lee Boon Yang, a former Member of Parliament in Singapore, with an Honorary Doctorate for his distinguished and highest contributions to public service in Singapore during the Celebration of Giving Reception. Dr Lee shared with the guests at the Celebration of Giving Reception on his university experiences, how it helped him during his civil service and contribution to the people of Singapore when he was a Member of Parliament. Dr Lee’s rich sharing, experiences and wisdom left with us great respect and admiration on what we can do above and beyond for people and community. Chairman & CEO, Waztec Pty Ltd. The sharing by the distinguished speakers were awesome, I am planning to share more on the topics and discussions in a later write up, especially in the area of entrepreneurship and being an entrepreneur (something that I can relate to closely to my heart). It was enriching and engaging, from different perspectives and viewpoints, from different generations (of the speakers). The Global Leadership Series will definitely be better with more interesting and diverse global matters, topics and discussions when they travel around the world to places where UQ Graduates are. I am looking forward to their return back to Singapore! Do check out UQAAS Facebook Page and Facebook Group for more updates on UQ events and activities! See you soon, fellow UQ Alumnus! Happy 40th Birthday to Merlion !